The person below the main relief is considered a man lying in the water. It is conjectured that he is Shyavana, a sage meditating in a holy river. What is the story about him? Where is the story told? Which persons are on top of the relief? Note. 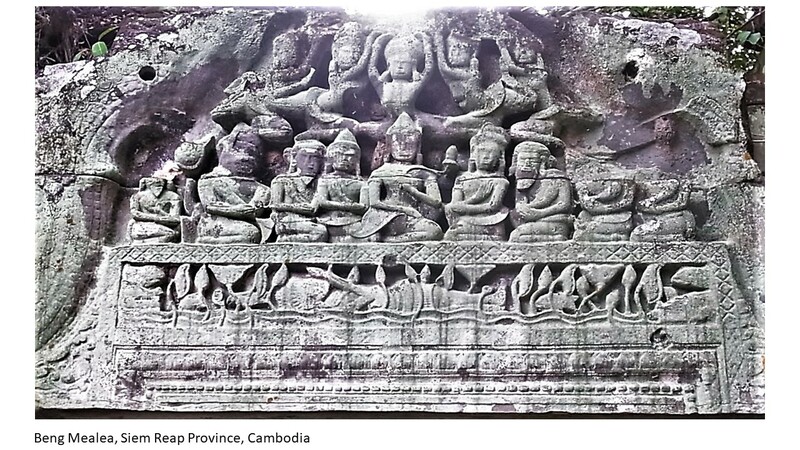 Beng Mealea translated from Khmer language means "lotos pond". This question has an open bounty worth +50 reputation from Sarvabhouma ending in 3 days. An answer explaining the carving and the story depicted in it would be very nice. Browse other questions tagged mythology identification-request .